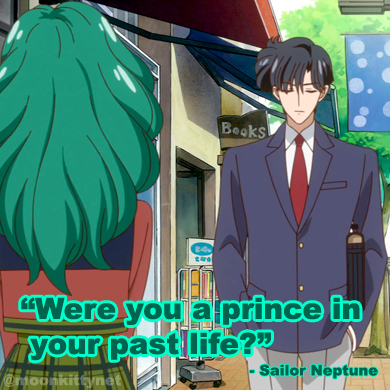 moonkitty.net: What is your favourite Sailor Moon anime season? What is your favourite Sailor Moon anime season? I had to think about this question quite a bit. While there are definitely similar themes throughout the anime, each season has very distinctive and unique villains, supporting characters and very different plot elements that defines them from each other. My absolute favourite season of the Sailor Moon anime though has to be the third season, Sailor Moon S.
Out of all five seasons I found this one had the best overall pacing and character development. All of the different subplots, Hotaru's relationship with her father, Uranus and Neptune dealing with sacrifice, Mini Moon finding a friend, the search for the Messiah, etc were all told extremely well. There was no sign of filler story arcs. Every episode, even the Monster of the Day episodes helped develop the characters and move the plot forward. The story was so well planned in this season that the writers devoted several episodes to the final big battle and even then gave the season two epilogue episodes to properly deal with all of the characters and plotlines. Watching Sailor Moon S from beginning to end is a very satisfying experience. 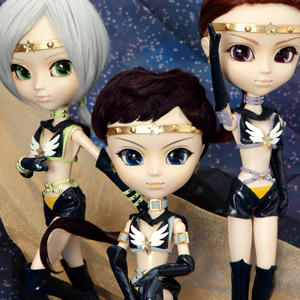 Another reason I love Sailor Moon S, which I'm sure many Moonies will agree with, is the addition of Sailor Uranus, Neptune and Saturn. 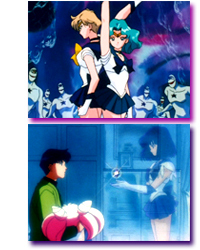 Each character gave a very different approach to the idea of being a Sailor Soldier and having Sailor Saturn actually be seen as a threat for the second half was a very unique and shocking idea. The villains are also great to watch. Tomoe and the Witches 5 are great additions to Sailor Moon lore and the death and return of Kaori Night is further evidence of how well this season was plotted. Even the Monsters of the Day, the Heart Snatchers / Daimons, were the first Monsters to truly offer something more as a plot device with the Heart Crystals revealing the true spirit of the character who was targeted. These Monsters were also given hilarious personalities and character designs that actually made the battles with them entertaining to watch rather than something you'd fast forward through. Sailor Moon S has just so much going for it compared to the other seasons. What's your favourite season? Thanks to Hailee for asking this question via email.